No, I haven’t started telling jokes, but I do have some tips on how to keep your readers on their toes. You see, just because you wrote a catchy headline and a witty introduction, it doesn’t mean your job is done. You need to hook readers, stimulate their appetite for stories, and have them so engaged with your content that they’ll break down the door asking for more. One simple way to do so is using an ancient literary trick: the cliffhanger. This article will teach you everything you need to know about the psychology behind cliffhangers and how to write them. Picture this: you’re at home watching your favorite TV show. A beloved character just made a comeback, and you are dying to know what happens next. But, just when the story gets more interesting, the episode, or worst, the season ends. The logic behind your eagerness to find out what happens next is related to cliffhangers. 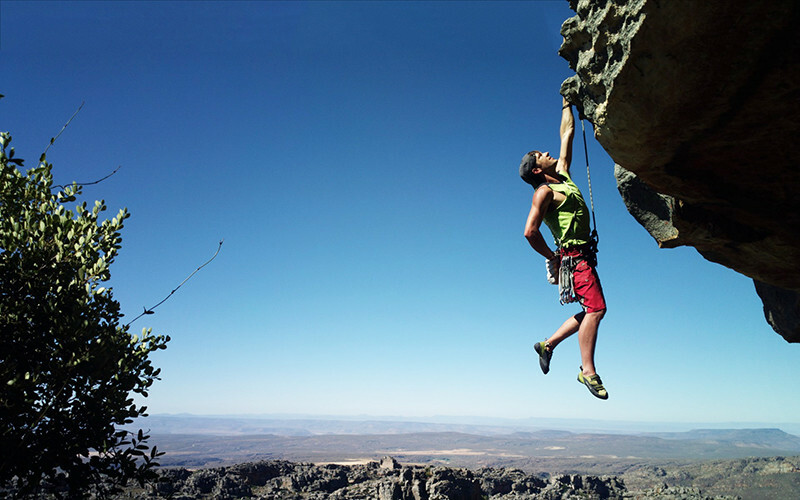 A cliffhanger is a rhetorical device used by authors and screenwriters to trigger curiosity. When the brain observes that part of the information is missing, it creates a feeling of deprivation. Therefore, you keep watching to complete the loop. The same scenario can apply to your articles. You can open a loop by giving the beginning of a story. You readers will want to know more, and they will start to come up with different scenarios. Close the loop at the end of the article. The cliffhanger is arguably the most powerful tool for telling a great marketing story. Below you can find three tips to help you write amazing cliffhangers that will leave your readers craving for more. Hollywood screenwriters often set up a character, an action, or even an object to move the story in right direction and get people invested. Is it possible to apply the same trick to your articles and marketing? Here’s an example. Back in 1926, John Caple created one of the most famous print ads. “They Laughed When I Sat Down at the Piano but When I Started to Play” read the ad and it’s the perfect example of how you can use headlines to prepare the setup and open a loop. Write a catchy headline that intrigues the reader and promises to offer an outcome in the article. When you introduce a cliffhanger in your marketing or content, you appeal to the curiosity of your readers and engage their emotional side. However, if you want to write effective cliffhangers, you need to offer readers something in return for their investment. Let’s say you wrote a product description and used the headline as a cliffhanger. Satisfy your reader’s curiosity by writing a thoughtful before and after story in which you describe how your life has changed after you began using the product. Ask a thought-provoking question to get readers engaged in the conversation. People can’t help but think of an answer when they hear a question, so that’s a great way to hook them. So, to answer the question at the beginning of the article, how do you keep someone in suspense? OK, maybe I won’t make a career telling jokes, be I hope you’ve learned that writing good articles isn’t enough in this content-cluttered world. You need more to engage readers. You need to keep them on their toes and anticipating your next move.